A magnificent treasury of books, manuscripts, records and source materials. The library offers students in all GTS programs extensive theological resources through its large collection of printed materials and its online catalog. Visiting scholars, clergy and lay people from may use the library's resources for reference and research. Find more information on the Christoph Keller, Jr. Library at The General Theological Seminary, such as the seminary, public, and summer hours, location, course reserves, and catalogues. Learn more about the recent history and design of the library, formerly St. Mark's Library, as well as the special collections and archives. The Library of the General Theological Seminary was known as the St. Mark's Library from the 1960s to 2011, when the Library moved into a beautiful new facility on the former site of Sherrill Hall. In October 2011, the building was dedicated as the Christoph Keller, Jr. Library, to honor the Rt. Rev. Christoph Keller, Jr. who served as the tenth Bishop of Arkansas from 1970 to 1981. The Library was designed by Beyer Blinder Belle with floor-to-ceiling windows in the reading room, providing sweeping views of the Seminary's Chapel and gardens. The reading room features formal and informal study space. On the lower level, collections are efficiently housed yet readily accessible and carrels allow for focused study. Group study rooms are equipped for interactive learning, and the lounge and lobby provide break-out space for conversation and coffee. The Library's Special Collections consist of over 30,000 volumes with an emphasis on Anglican and Episcopal documents, early Bibles, and editions of the Book of Common Prayer. Rare printed Bibles include the Coverdale Bible (1535, the first complete Bible printed in English) and a first edition of the Authorized King James Version (1611). Other significant holdings include over 150 incunabula (pre-1501 printed books), works of 16th- through 18th-century English theology, important editions of patristic texts, devotional works and sermons from the 15th to the 21st centuries. Included within Special Collections are the GTS Archives, which contain archival papers of many Episcopal bishops from the 18th to present, including the major collection of papers of Samuel Seabury, the first bishop of the Episcopal Church. 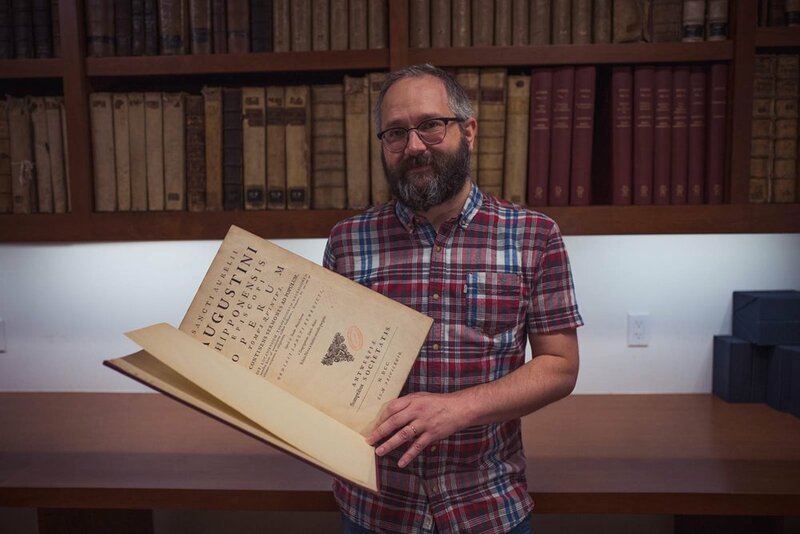 The Archives identifies and preserves significant and unique records generated or received by the General Theological Seminary community that have enduring value and are past the period of active use. Access to these materials is regulated to safeguard confidentiality and privacy in accordance with policies established by the Library.